Why should you consider this “modified” whole foods plan I have developed and have used myself over the last (3) years? It’s not about forcing something that has worked for others to then try to work for you. It’s about finding out exactly what does work for just you. Despite our differences in our bodies, it is our differences that make it possible for some standard diets to work for some people, with some adjustments. That’s why personalizing a Paleo Plan is key in order to have it work with your body chemistry. Eating whole foods like our ancestors did is always going to be a good choice. If other diets or solutions to your chronic symptoms have failed you, it’s probably because they weren’t right for you. This approach is more flexible and sustainable over the long term because it takes your unique health issues, personal food choices and goals into account. I have had to deal with food allergies, chemical sensitivities, digestive issues, bacterial infections and mercury (and radiation) poisoning in my life. My health is what motivated me to try Paleo in the first place. I was already living gluten, corn, soy, and dairy free; but needed to do more due to so many chemicals and preservatives in 80% of the foods on the market today. I eat organic and grass fed whenever possible. Reason 3: It’s not a Diet, but a lifestyle you choose to live by. The Paleo Lifestyle isn’t just about Paleo food; it also helps you customize all the critical factors that make you healthy and happy like: good food, sound sleep, physical activities, managing your stress and social interaction. Hit the reset button on your body by removing the foods most humans aren’t adapted to eat and those foods that most commonly cause physical reactions in our bodies. Do you know which ones they are? Expand your reach by introducing foods that are healthy for your body, when well-tolerated and fine tuning your lifestyle choices to include: more restful sleep, more brain and outdoor activities to help lower your stress levels. Personalize your meal plans, supplements (if needed) and lifestyle according to your unique body chemistry to try to avoid society’s common health conditions that are on the rise today like chronic immune conditions: Diabetes II, Cancer, Rheumatoid Arthritis, Osteoporosis, food and environmental allergies. You will understand exactly why these changes you are making will help you achieve optimal health and wellness. Most importantly, you will learn how my “modifed” Paleo Plan can help to sustain your health and lifestyle too.” I have created a plan that includes an initial cleanse to clear out your system to “reset” your metabolism. Then you can transition into my “modified” Paleo Plan to begin moving forward in a healthy, nutritious way. Curious to learn more?. Here’s to Your Healthy, New Lifestyle! Please sign me up for your health tips and tasty recipes! I have read and agreed to the website (privacy) and (terms) policies. "Linda has a rare expertise. She walks her talk. 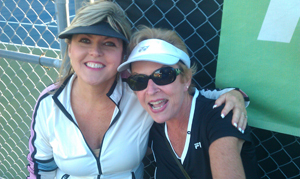 Through her coaching I was able to overcome the obstacles I faced in my personal life recently. I would highly recommend her."